Independent Photographic Supplies Pty Ltd (IPS) proudly supports the Australian Institute of Professional Photographers (AIPP) as a Gold Sponsor, and is a Trade Affiliate Member of the Institute that highly recommends that all Professional Photographers in Australia join and support their Industry body. IPS also offers Special Product Discounts and Regular Special Offers to all accredited Members of the AIPP. The AIPP has different categories of membership ranging from “Student Membership” through to the “Full Accredited Professional Photographer” The Institute also welcome photography enthusiasts into their special non membership category “AIPP Enthusiast” If you are looking for a professional commercial photographer, a Professional Wedding Photographer, a Professional Portrait Photographer or a Professional Photographer for your General Photography needs, please click on the “Find a Professional Photographer” link. The AIPP comprehensive database of members will provide you with details of professional photographers in Sydney, Melbourne, Brisbane, Cairns, Adelaide, Tasmania, Perth and Professional Photographers in most other towns and regions throughout Australia. Individual retired from the photographic industry. 1- "Promoting the Profession of Photography"
2- "Enhancing the skill and knowledge of Professional Photographers"
These two objectives remain as relevant today as they were in the 1960s. Today the AIPP achieves these objectives through its own accreditation process, continuing professional development program (CPD), Online learning system,National and State based photography competitions and regular series of events and activities in every state throughout Australia. The AIPP are proud to say that, nearly 50 years after the Institutes inception, using an AIPP accredited photographer is still the best assurance you can get that your chosen photographer is a professional, skilled in the art of photography. 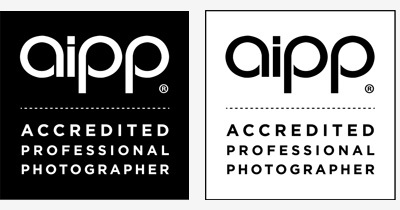 If you want to be sure you are using an AIPP accredited professional photographer Look for this Logo!